Back in November, La Flor Dominicana quietly axed the Coronado line. It was probably the right decision since no one but me seemed to care. But it's a sad end for what I believe is the finest cigar they've ever produced -- a cigar most people, even diehard cigar buffs, have even tried. Hard to believe really, since it was named the #2 in Cigar Aficionado's Top 25 ranking in 2006, shortly after its introduction. The cigar itself has always been superb. Rich and chewy with hearty tobacco and rock candy notes and a hint of the characteristic LFD leatheriness, it is a powerhouse of flavor yet restrained in comparison with the company's other lines. Perhaps that was the problem. LFD has cult following among those who like their cigars dark, thick and strong. There's nothing subtle about the Ligero series, that's for sure. I recently smoked the latest Small Batch, the No. 5, and found it positively tiring by the midpoint, like eating a steak sandwich on a steak bun. The Coronado was a different, far more refined animal. Perhaps too refined. If viewed from a marketing perspective however, the demise makes sense. 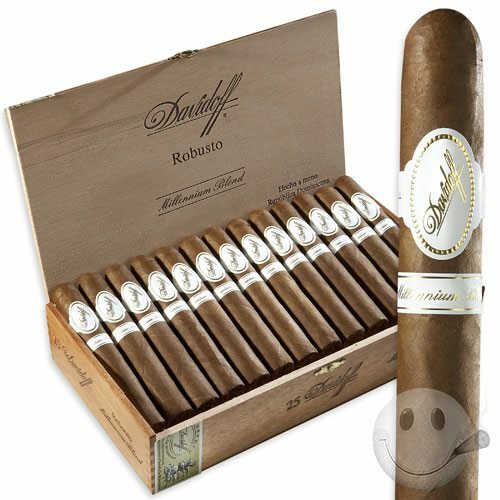 The cigar wears a relatively light-colored wrapper, yet it's quite rich and full bodied. Even while smoking it, the experience is a lot like a Cohiba Behike: all finesse on the palate, but a powerful punch in the gut. Guys who like strong cigars were likely to pass on them thinking they were mild, and the people who picked them up expecting an easygoing smoke probably regretted it. Then there's the band. Its basically unidentifiable, even as a La Flor. It gets lost in every cigar store humidor I've seen. It may have stood a chance if only La Flor fans knew it was a La Flor. The best solution would probably have been to replace the single large band with two, the classic "LFD" band on top a and a second band with "Coronado" on the bottom, much like Davidoff does so elegantly with the Millennium Series. I have high hopes La Flor will repackage it, rebrand it and bring it back. Until then, all I have is my remaining stock of Double Coronas and Lanceros. Since they must now be special occasion cigars, I rang in the New Year with a DC from 2010 production and found it to be typically wonderful. The key with these is to dry box them for a few days prior to smoking. Otherwise, the wrappers burn about as well as a Nomex racing driver's suit. You want them to crackle just so slightly when gently pinched. And the whole cigar is better when kept at a lower humidity level, like 65 or 67% max. Aging certainly benefits these, tempering a degree of boldness. Under ideal conditions, a Coronado Double Corona is a thing of beauty. Rich but not overpowering, flavorful but complex, a cigar that evolves nicely as it burns. I guess at this point we may as well tag this post as a vintage cigar review since Coronado is now officially in the history books. *Note that the recommendation below to smoke these now refers to the 2010 production sample tasted here. Recent production cigars benefit from one to three years of aging. Arguably the finest cigar line ever produced by La Flor Dominicana. Similar to a Cohiba Behike in character and strength. A hearty yet balanced and complex smoke for the true enthusiast.